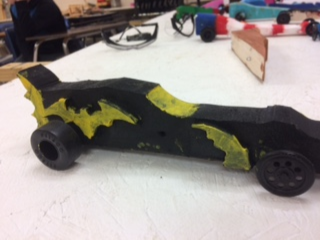 We made a jig to CNC the tops and sides of our CO2 cars. Hello, my name is Devin Wilson and I am excited to be a part of the ShopBot world! 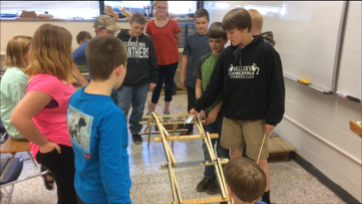 I am a first year Carpentry and Technology teacher at Rosman High/Middle School in Rosman, NC. There have been some ups and downs, but the ShopBot aspect has definitely been one of the ups. My goal coming into our Carpentry program wasn’t to reinvent things, but to build on the foundation of craftmanship, stewardship, and ownership that had been laid in previous years. Change doesn’t mean you have to get rid of the past. Some of our equipment has been running and maintained for more than 20 years. This year we sold a planer that had been on a World War II ship—and it was still running! We were sad to see it go, but excited to press on with the same standard of quality and workmanship in mind. 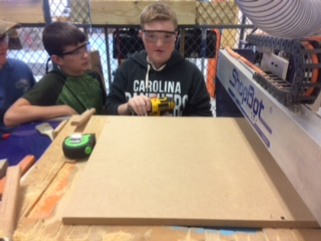 We were introduced to the ShopBot MAX at a construction career day. 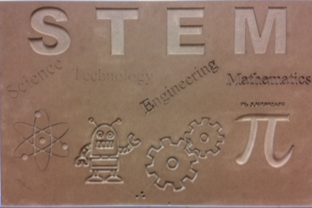 I had been researching CNC routers and it seemed like the perfect fit for us. I had no idea, at the time, what it was capable of. We have been able to take older projects and improve them with a CNC twist, and we have been able to do a lot of new things that we wouldn’t have dreamed of before. Here are a few things we’ve learned in the process and a few that we are still trying to learn. The Da Vinci Bridge from TJ on the ShopBot resource page. When the machine is off, the kids can come in for a closer look. 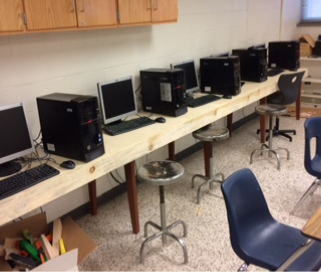 We built a computer desk. Now our kids can break into groups to design. We set up a shared drive so we don’t have to carry the thumb drives back and forth. Of course, signs are always a hit! I am trying to let each class write their name first. It draws them in. 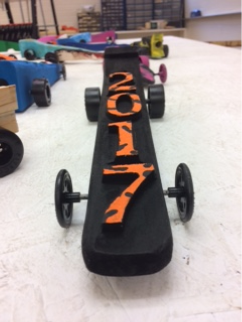 We live in a low income area, so the ShopBot gives kids opportunities to create things that they dream up. This sign was designed and toolpathed by an 8th grade female student. She picked up the design software in about 3 minutes and has become my best designer. 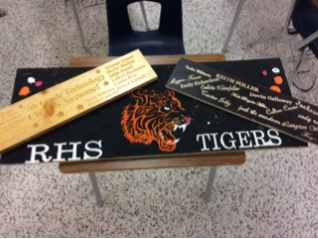 Soon, I will share what our high school class is up to: selling signs to a local development, carving aluminum, and more!